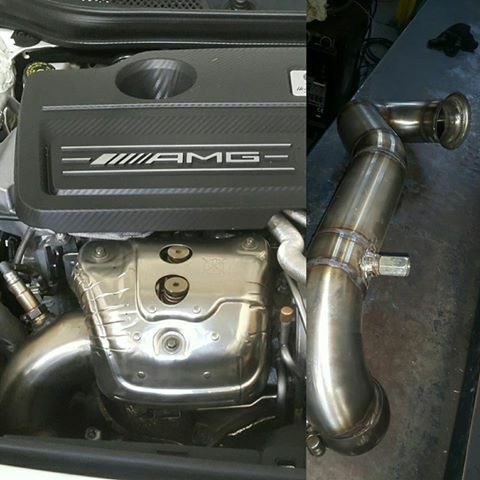 Introducing the 89mm Evoperformance Bolt -on Catless downpipe for the A45 AMG. Constructed out of 304 grade stainless and fully tig welded. This bolt on Downpipe has been dyno tested to gain 12kw on a stock A45. This unit is not available off the shelf, each unit is custom built on the car.